Baba Beach Club, Hua Hin perfectly embodies the aspects of idyllic luxury and elegance with a relaxed as well as vibrant luxury residential estate, beachfront hotel and exclusive beach club located in the pristine beach land between Cha-am and Hua Hin. Scattered across 12 rais with a 160 meter beachfront in the exclusive beachfront community, Thew Talay Estate, Baba Beach Club Hua Hin is managed and developed by internationally acclaimed luxury pool villa hotel & residential estate, Sri panwa. With a collection of larger three and five bedroom luxury pool villas designed in a Neo-Colonial style combining the colonial architecture of Hua Hin with modern design, creating a true vacation home-away-from-home. Rich in beauty and charm, offering stylish beachfront living with undisrupted views of the Gulf of Thailand while presenting itself as a music lovers hotel. With countless luxury amenities such as a 160 meter beachfront, beach club, Cool Spa, Baba Beach Restaurant & Bar, beachfront entertainment pool, Baan Chok Café & Eatery, fitness center, event & function space, beachfront courtyard garden, and much, much more. Setting Baba Beach Club Hua Hin apart from any other, exuding both luxury and charm throughout the resort. Scattered across 12 rais in the exclusive beachfront community, Thew Talay Estate, Baba Beach Club Hua Hin is managed and developed by the team behind the internationally acclaimed luxury pool villa hotel & residential estate, Sri panwa. Offering luxury beachfront living of the highest quality while combining exclusivity, charm, and elegance with a larger collection of private luxury pool villas in the pristine beach land between Cha-am and Hua Hin. Located approximately 2-3hours from Thailand’s capital, Baba Beach Club Hua Hin is both decadent, hip, and unpretentious with the ultimate freehold villas for a true vacation escape. Join the Baba Family and make your lifestyle investment today. Managed & developed by the internationally acclaimed luxury pool villa hotel & residential estate, Sri panwa. Ensuring the highest quality service, maintenance, hospitality and more. 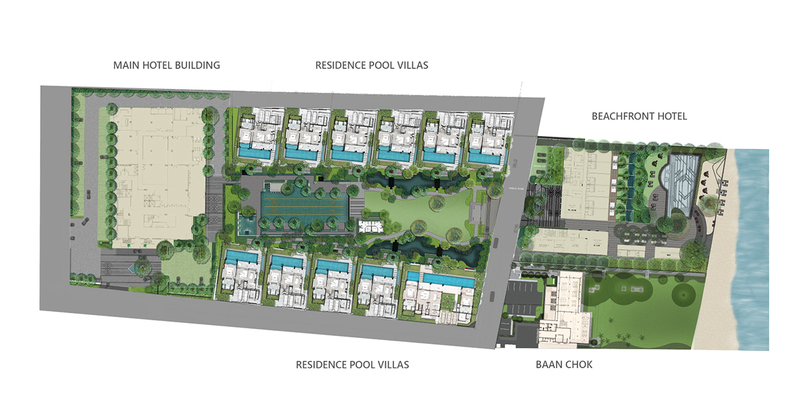 Located between the popular beach destinations Cha-am & Hua Hin in the ultimate beachfront community Thew Talay Estate. Freehold villa & ownership with title deed. Each Luxury Pool Villa is equipped with a private 10 meter infinity-edge swimming pool, a terrace, private balcony, spaciously designed bedrooms and en suite bathrooms, generous living room and dining area, kitchen with a pantry, and more. Only a 2 hour drive from Bangkok’s Suvarnabhumi Airport and 15 minutes away from Hua Hin’s downtown. Steps away from Baba Beach Restaurant & Bar, fitness center, beach club, 160 meter beach, entertainment pool, Cool Spa, Baan Chok Cafe & Eatery, event & function venue, and more. Within reach of key amenities such as golf courses, shopping centers, local markets, and famous attractions. *Free membership entrance fee for the first year. *Enjoy your own private Luxury Pool Villa for a maximum of 60 days per year. *Opportunity to earn long-term passive income. – The ultimate luxury pool villa located in the baba beach club huahin with the private beach access. 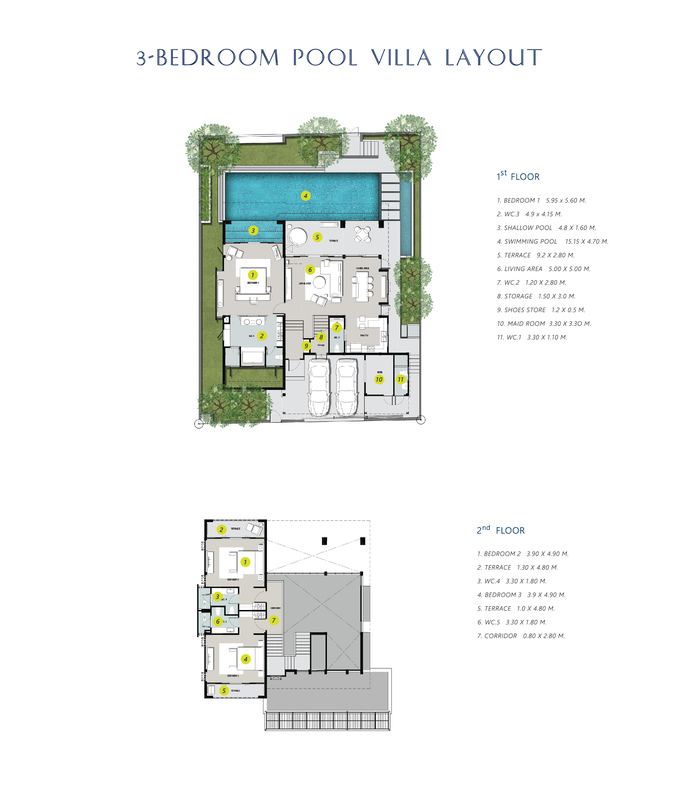 – Luxuriously awash with a wide range of exclusive amenities. – Private living space with high-quality specifications and design. – Lush landscape seamlessly connects life with nature. – Management & Rental Services by Sri panwa, ensuring the highest quality of service and a maximized rental yield.